2: Can you provide different packagings with private labels ? 3: How about the product quality ? background and job experience of food manufacturing and applications. We can provide professional technical service for our clients. 4:Which kind of payment terms do you accept? 5:How can I get a sample? Free sample is available, normally freight charges will be at your account and the charges will be return to you or deduct from your order in the future. 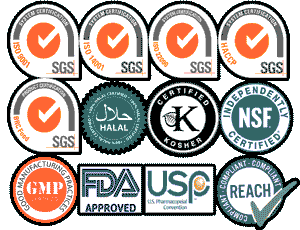 Usually, we provide Health certificate, Origin certificate, Packing List, Commerical Invoice, Bill of loading and COA. If you have any special requirements, let us know.